Sunrise Ranch is a home for programs that assist people in their process of spiritual awakening and development. It is also a working ranch of 360 acres, where community members raise chickens, goats, and grass-fed beef. Since the year 2000, David Karchere has led this thriving community of 85 people and brought vision to its development. 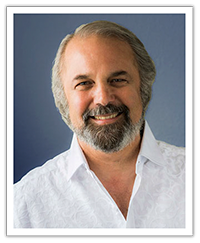 He has invited gifted spiritual teachers to be part of what Sunrise Ranch offers to the world. He has developed educational programs that teach holistic agriculture, farm-to-table cooking and practical spirituality. Sunrise Ranch was founded in 1945 by Lloyd A. Meeker and friends as a headquarters and Home of homes for Emissaries of Divine Light, a function it has performed to this day. The original vision was that higher spiritual awareness could take root in a person’s experience in this place. That continues to be the experience for people who live at and visit Sunrise Ranch. 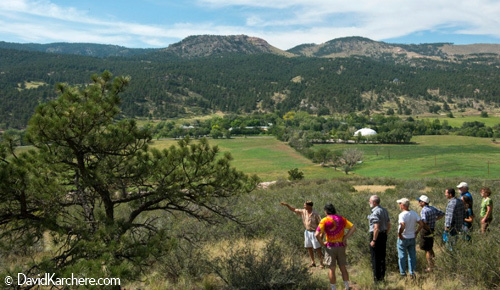 Sunrise Ranch is in a valley in the foothills of the Rocky Mountains, sixty miles north of Denver. One side of the valley is formed by the Rimrock, a ridge of red sandstone. On the other side of the valley is Green Ridge, filled with ponderosa pine and granite boulders. There are plenty of wild animals living nearby. Herds of elk wander through the valley. There are coyotes, foxes, raccoons, bobcats, mountain lions, bears, hawks, eagles and ducks. 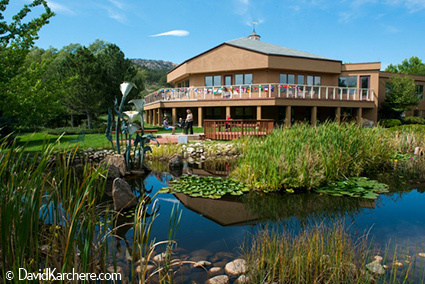 More than anything, Sunrise Ranch is a demonstration and teaching site for embodied spirituality. David’s vision is that what is born in conscious experience there can sow seeds of inspiration and rebirth for the world. David wrote “The Sacred Valley,” which is an allegory for what is transpiring at Sunrise Ranch. Into that sacred valley, in that day, the people of the world came, family after family, company after company, to find the healing vibration that rung in the air between the pine-covered hills and the red sandstone rock. Through what they experienced there, each found their own wholeness, and their own place in the family of man. And each found their own unique and private relationship with the king and queen of this magical land. Those who greeted and hosted all who came shared in sacred, daily ritual themselves, in right relationship with the land and the inhabitants of all the kingdoms of the valley. They danced by their sacred fires. They sang and played pipes and horns and drums in the amphitheater among the granite rocks. They worshiped in the holy temple. Most of all, they loved one another, and each one came to any other among them to serve them when they were in need. Those who visited the sacred valley left their gifts. For some silver, some gold. For some, they left their songs. It was in those days that the earth and her peoples were healed. Old hurts were cast off. Life-threatening ways of being on the earth and with other people were dissolved, along with the lies behind them. A new way, in harmony with all that is, was found. Few knew that the radiance of this sacred little valley had shown the way. But the people of the valley didn’t care. They knew what they had done.